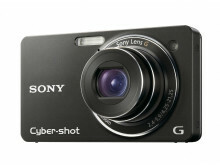 Two slim, power-packed new Cyber-shot™ cameras are a stunning showcase for advanced Sony optical, imaging and processing technologies. The easy-to-use Cyber-shot™ TX1 and WX1 blend pristine picture quality and smart shooting features with chic, colourful looks that stand out from me‑too compact cameras. At the heart of both cameras’ sensational imaging performance is the groundbreaking Exmor R™ CMOS sensor. 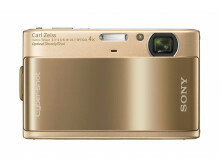 With a resolution of 10.2 effective megapixels, it’s teamed with Sony’s powerful BIONZ processor for superb pictures and rapid shooting responses. Sony’s Exmor R™ sensor uses an innovative sensor structure that captures more light than conventional CMOS designs, boosting sensitivity while reducing image noise. The result: breathtakingly natural, detail-packed photos – even in low light conditions where other cameras struggle. The powerful BIONZ processor is key to both cameras’ super-fast shooting responses. The mechanical shutter of the TX1 and WX1 can grab a continuous burst of full-resolution images at an incredible 10 frames per second – quicker than many professional DSLR cameras. This unique combination of the Exmor R sensor and BIONZ processor also powers Sweep Panorama mode. Just press the shutter button once and move the TX1 or WX1 from side to side horizontally or vertically. Sweep Panorama automatically combines a high-speed burst of images, capturing super-size landscapes with a field of view up to 256 degrees* – far wider than any camera’s wide angle lens. The potent combination expands creative shooting options further still. Hand-held Twilight mode superimposes a high-speed burst of six frames to produce an optimised image with dramatically reduced noise in low light. It’s complemented by Anti Motion Blur mode that captures fast-moving subjects in low light also with reduced picture noise. 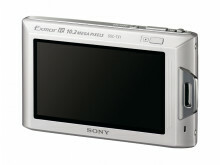 Both cameras shoot detail-packed 720p HD movie clips and audio at a super-smooth 30 frames per second. 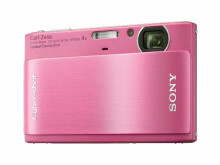 It’s a great way to capture those memories in sparkling HD when you don’t have your Handycam® with you. Despite their state-of-the art imaging capabilities, the TX1 and WX1 make it easy to get great results with any scene. Optical SteadyShot image stabilisation keeps images crisp and clear when you’re shooting handheld. Face Detection and Smile Shutter let anyone take happy, better-looking portraits automatically. The Cyber-shot™ TX1 and WX1 are also the world’s first cameras that transform into your own ‘personal photographer’ with the optional Party-shot™. A new shooting concept that’s unique to Cyber-shot™, Party-shot™ automatically takes happy, smiling photos of your family, friends... and you. You don’t even have to touch your camera to get great results. Available in five gorgeous colours, the super-slim Cyber-shot™ TX1 proves that mouthwatering looks don’t have to compromise serious photo performance. Just 14.1mm** thin, it’s the first Cyber-shot™ T series camera that features a sensitive Exmor R™ CMOS sensor for sensational imaging performance, even in low light. Slim and effortlessly chic, the TX1 features a large 3" Clear Photo LCD Plus touchscreen with an easy-to-use new touch interface. Flick through your images with a fingertip. Drag and drop frequently-used functions like flash and ISO settings onto the one-touch menu screen. 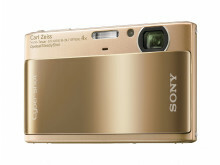 With the Cyber-shot™ TX1 it’s fabulously quick, easy and intuitive. 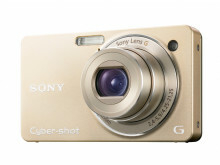 It’s the new flagship of the feature-packed Cyber-shot™ W series. Compact and beautifully styled, the new WX1 brings together the finest Sony optical, imaging and processing technologies in perfect harmony. Complementing the Exmor R™ CMOS sensor and BIONZ processor is a premium Sony-engineered G Lens that sets a new benchmark for compact cameras. 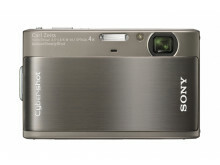 This combines superbly with a 24mm wide angle lens allowing you to fit even more into your frame. With a generous 5x optical zoom range, this class-leading lens delivers extraordinary resolution and contrast at all focal lengths from wide-angle to telephoto. An extra-bright maximum aperture of f/2.4 expands shooting possibilities, grabbing more light than other compact camera lenses to capture better-looking photos in dimly-lit situations. From parties and get-togethers to special times with your children, it’s no fun being left out of the action when you’re stuck behind the camera. But now there’s a brand new way to grab beautifully relaxed, spontaneous pictures of everyone in the room… including you. 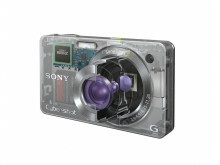 In another Cyber-shot™ world first, both cameras are compatible with the IPT-DS1 Party-shot™. A totally new concept in fun photography, Party-shot™ acts as your ‘Personal Photographer’, automatically taking beautiful pictures without your intervention. For the first time ever, Party-shot™ keeps you in the picture as you enjoy special moments with friends and family. Just slip the Cyber-shot™ TX1 or WX1 into the docking base and everything else is automatic. 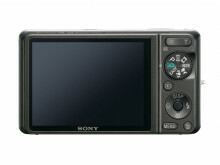 The IPT-DS1 pans and tilts the camera while adjusting zoom settings. Face Detection and Smile Shutter recognise and track faces for happy, naturally composed pictures of everyone in the room. There’s a choice of protection options for your Cyber-shot™, including the new LCH-TW1 carry case that’s styled in tough polycarbonate and elastomer to safeguard your camera against knocks and scratches. The latest Memory Stick™ PRO Duo 32GB is a perfect partner for your Cyber-Shot™ on long trips away. There’s plenty of space for thousands of high-resolution 10.1 megapixel images or an incredible 7 hr 25 mins of Full HD video. 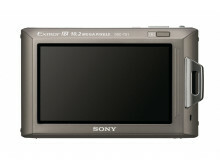 Cyber-shot™ TX1 and WX1 compact digital cameras and IPT-DS1 Party-shot™ are available from September 2009.